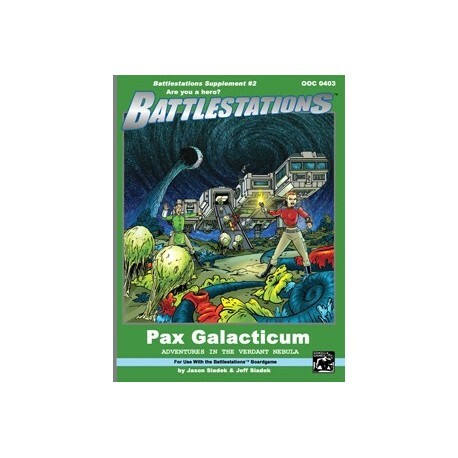 Pax Galacticum captures all of the drama of harrowing space adventure without the ugliness of intelligent beings trying to destroy one another. This ground-breaking (space-breaking?) supplement has oodles of great adventures including problem-solving, navigation hazards, rescue and much much more. Also included are the modules for Damage Control used for hull damage repair and the Sick Bay that can even revive the nearly dead. 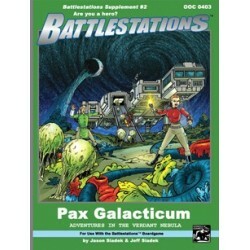 Pax Galacticum is fully compatible with the rest of Battlestations.